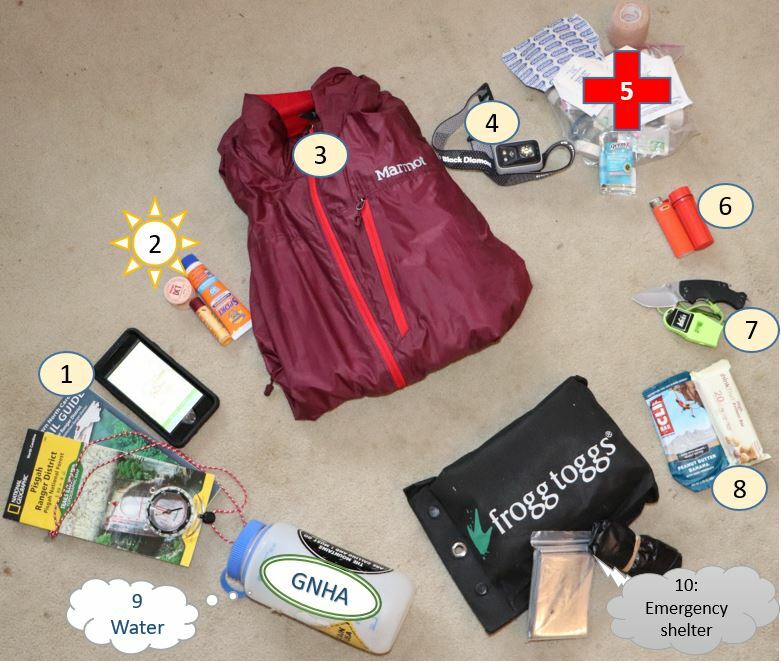 GNHA encourages hikers to check with the leader to be prepared for the conditions of the hike. 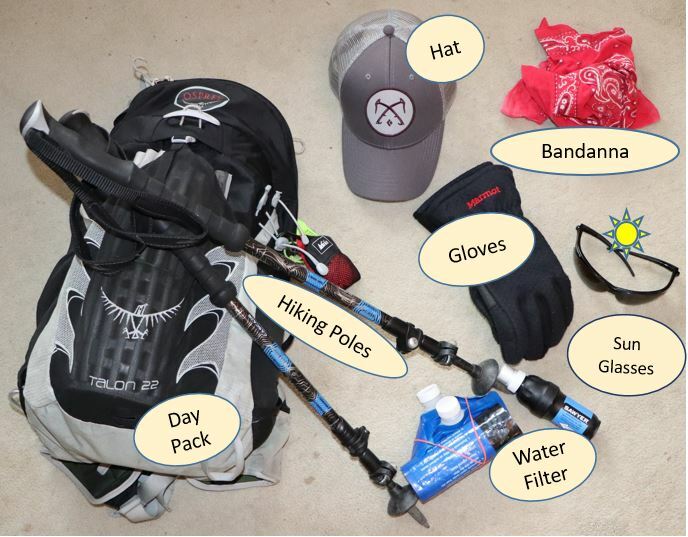 Suitable clothing, footwear, and a day pack are necessary for most club hikes. The hike leader is responsible for planning and navigation but all hikers should be familiar with the hike description and are welcome to bring navigation systems. ​The list below can be used as a guide for items to bring and may be modified to suit the hike event. Navigation. Topographic map and assorted maps in waterproof container plus a magnetic compass, GPS unit or cell phone with GPS app. Insulation. Hat, gloves, jacket, extra clothing for coldest possible weather. Fire. Butane lighter, matches & fire starter in a waterproof container. Tools, signal device. Knife, multi-tool, duct tape, whistle, mirror. Hydration. Two liters of water or sports drink. Emergency shelter. Space blanket, jumbo trash bags. Source: Mountaineering, The Freedom of the Hills. Creative hikers often bring other items that pertain to particular hikes, for example: a book on wildflowers.